Acura Super Bowl 50 commercial, "What He Said", to appear during the first quarter of the big game, will showcase the Precision Crafted Performance brand direction that is core to the Acura brand with the next generation 2017 Acura NSX supercar. The 30-second spot features Van Halen's Runnin' with the Devil tune. Acura will unveil a 60-second version of the Super Bowl commercial and a countdown clock beginning Jan. 29 that leads to the Feb. 25 launch of the Acura NSX online vehicle configurator that will enable potential customers and fans to design and build their dream NSX. 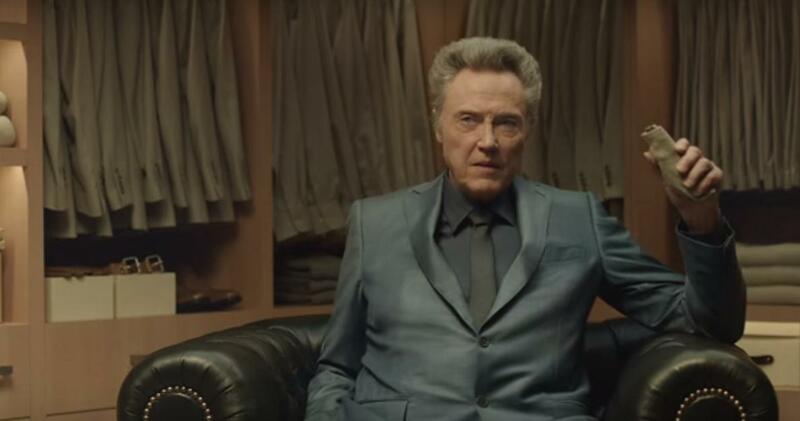 Kia will air “Walken Closet”, a 60-second Super Bowl commercial for the all-new 2016 Optima midsize sedan. A teaser for the commercial doesn't show the vehicle but has actor Christopher Walken sitting in a walk-in closest handing a beige-suited Richard his beige socks in a closet full of beige everything. 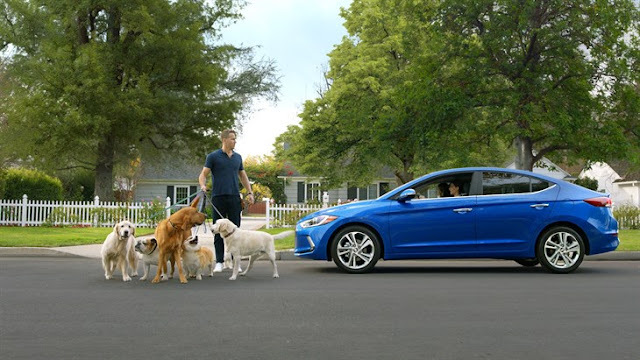 Hyundai, in its first year as an official NFL sponsor, will have four Super Bowl 50 commercials including “First Date,” a 60-second ad in the pre-kick time slot, “The Chase” and “Ryanville” - two 30-second ads during the game and, “Better” - a 60-second ad during the pre-game show. They feature actors Kevin Hart and Ryan Reynolds highlighting the safety, technology and convenience features of the all-new 2017 Elantra (above) and 2016 Genesis sedan. Buick’s first-ever Super Bowl ad, a 30-second spot part of the “Experience the New Buick” campaign, features Buick’s all-new Cascada luxury convertible which goes on sale this summer and stars New York Giants wide receiver Odell Beckham Jr. and actress/model Emily Ratajkowski. The Porsche 718 Boxster (pictured above) has a 300 horsepower 2.0 liter four-cylinder engine and the 718 Boxster S uses a 350 horsepower 2.5 liter turbocharged engine, both providing 35 more horsepower compared to the previous Boxster models, and are mated to a standard six-speed manual transmission or the optional Porsche Doppelkupplungsgetriebe (PDK) transmission, with fuel-saving virtual gears. Every body part except for the luggage compartment lids, the windshield and the convertible top has been changed. Porsche Active Suspension Management (PASM) is available as an option and includes a ten millimeter lower ride height compared to the standard suspension. The PASM Sport Suspension with a 20 millimeter lower ride height is available as an option for the 718 Boxster S. The 718 Boxster and Boxster S go on sale now and will reach U.S. dealers in late June 2016. The 718 Boxster has a starting MSRP of $57,050 (including the $1,050 destination charge), and the 718 Boxster S from $69,450. The new 2017 Jaguar F-TYPE SVR, capable of accelerating to 200 mph, will make its global debut at the 2016 Geneva Motor Show on March 1 and will go on sale this summer. The 2016 GMC Sierra All Terrain X, a special edition of the All Terrain model, powered by a 365 horsepower 5.3L V-8 engine driving the 4WD with Eaton locking rear differential. 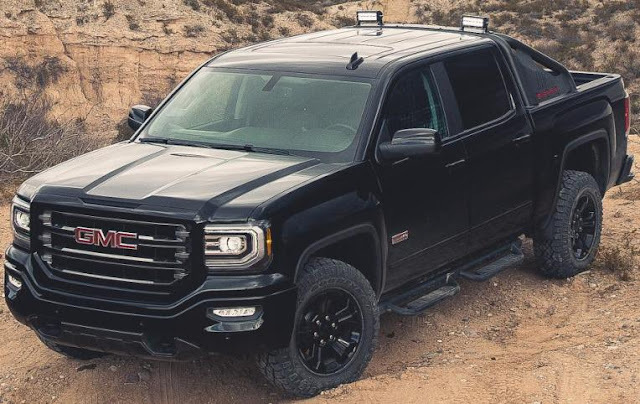 Features include the Z71 Off-Road suspension package with Rancho monotube shocks, high-capacity air cleaner, Hill Descent Control and underbody transfer case shield and Rear Park Assist. Phone integration via GMC IntelliLink allows smartphone users to connect with applications such as navigation, hands-free messaging and more through Apple CarPlay or Android Auto. The 2016 GMC Sierra All Terrain X goes on sale this Spring. The all-new sixth-generation 2017 Hyundai Elantra, powered by an all-new 147 horsepower 2.0L Nu MPI Atkinson cycle 4-cylinder engine, starts at $17,985 (including $835 freight charges), $100 less than the outgoing model, for the SE trim with 6-speed manual transmission, $18,985 for the SE with 6-speed automatic transmission with SHIFTRONIC® and $23,185 for the Limited with 6-speed automatic transmission with SHIFTRONIC® arriving in dealerships this month. The new powertrain helps the Elantra SE achieve an EPA fuel economy rating of 33 mpg combined. The Eco trim features an all-new 1.4-liter Kappa turbocharged GDI four-cylinder engine with an EcoShift seven-speed dual-clutch transmission and will be available later this year. The all-new 2017 Audi R8, the most powerful Audi production model ever, has a 540 horsepower 5.2-liter V10 model that starts at $164,150 (including the $1,250 destination charge) and a new 610 horsepower V10 plus, starting at $191,150 and mated to an updated seven-speed S tronic® dual-clutch transmission which integrates with the Audi drive select system. Available on the R8 for the first time, are comfort, auto, dynamic, and individual drive select modes and on R8 V10 plus models, an additional “performance mode” with dry, wet, and snow programming. The all-new R8 quattro® system delivers the majority of torque to the rear wheels and in certain driving conditions, sends up to 100 percent of all available torque to the front axle. The new multi-material construction has the V10 plus weighing 88 pounds less compared to the previous generation and the V10 weighing 143 pounds less, with 40 percent greater rigidity. The Acura Precision Concept model explores a new approach for Acura's digital human-machine interface, enabling a intuitive, advanced and seamless connection between man and machine. The ultra-wide and curved center screen is operated by a floating touch pad suspended on the cantilevered center stack. Upon entry, the system scans each occupant and selects personalized features and functions, including maps, audio and customized vehicle performance settings. The driver's space is highlighted by a compact, race-inspired, sports steering wheel with paddle shifters and Integrated Dynamics System (IDS) controls, a floating center meter, a driver's head-up display, a cantilevered center stack and an ultra-wide, thin and curved center display screen. The all-new 2017 Audi A4, in its ninth generation, features a completely redeveloped 252 horsepower 2.0 TFSI® engine mated to a new generation of the seven-speed S tronic® dual-clutch transmission, starts at $38,250 (including $950 destination charge) for the front-wheel drive and $40,350 for the quattro all-wheel drive Premium models. There are also more expensive Premium Plus and Prestige trim levels. Standard equipment includes keyless start/stop, rearview camera, Audi smartphone interface, LED interior lighting, digital 3-zone automatic climate control and Audi pre sense city. Standard Audi pre sense city detects cornering and stationary vehicles as well as pedestrians, at speeds of up to 52 mph and can initiate full braking when a potential collision is detected. The all-new 2017 Audi A4 goes on sale this Spring. The new Audi A4 allroad quattro, in its second generation, is powered by TFSI and five TDI engines that produce between 150 horsepower and 272 horsepower, which is up to 27 horsepower more than the previous model and the engines are mated to a choice of a manual six-speed, new seven-speed S tronic or the redesigned eight-speed tiptronic transmission. 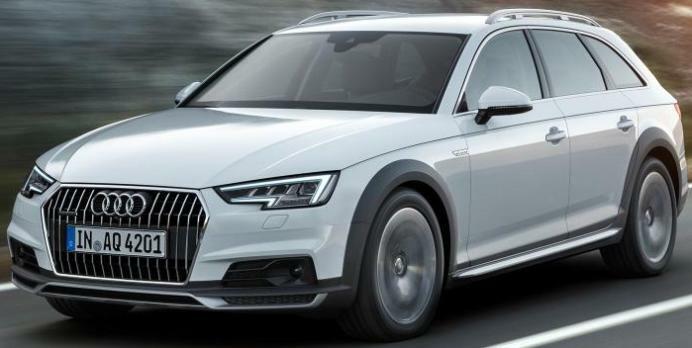 The new Audi A4 allroad quattro is part of the Audi A4 family and was just introduced in Detroit at the North American International Auto Show and will arrive at dealerships in Germany and Europe this summer, and, presumably to the U.S. market at some point, likely with the 2.0 liter TFSI delivers 252 horsepower. The Buick Avista 2+2 coupe concept has a 400-horsepower twin-turbocharged 3.0L V-6 engine with fuel-saving Active Fuel Management (cylinder deactivation) and Stop/Start technology and is mated to an eight-speed automatic transmission. The Avista has Magnetic Ride Control that delivers more precise body motion control next-generation and QuietTuning and air-quality control, including noise cancellation technology, ionic air purifiers and aromatherapy. The Volkswagen Tiguan GTE Active Concept, based on the completely redeveloped second-generation Tiguan, has a plug-in hybrid system that uses two electric motors and a gasoline engine, which can supply all four wheels with power, either automatically or at the push of a button. Four-wheel-drive is also activated when the driver selects 4MOTION® Active Control or when GTE-mode is selected. The Tiguan GTE Active Concept is equipped with a 148 horsepower turbocharged and direct-injection TSI® gasoline engine mated to two electric motors, 54 horsepower at the front wheels and 114 horsepower at the rear for total system power of 221 horsepower tied to a 6-speed dual-clutch automatic transmission that was specially designed for hybrid use. The 4MOTION plug-in hybrid drive include a 12.4 kWh lithium-ion high-voltage battery that can be charged either externally or via the gasoline engine. The vehicle can cover up to 20 miles in all-electric mode and the driving range, based on a battery capacity of 12.4 kWh and a 16.9-gallon fuel tank, is 580 miles. The Nissan IDS Concept has a full carbon fiber body and is Nissan's vision of the future of autonomous driving and zero emission EVs. Over 90 percent of traffic accidents are caused by human error so Nissan IDS Concept's system of sensors and AI are designed to provide safety performance compared to a human driver. When the driver selects Piloted Drive, the vehicle handles the car's performance from accelerating to braking to cornering and imitating the driver's own style and preferences. 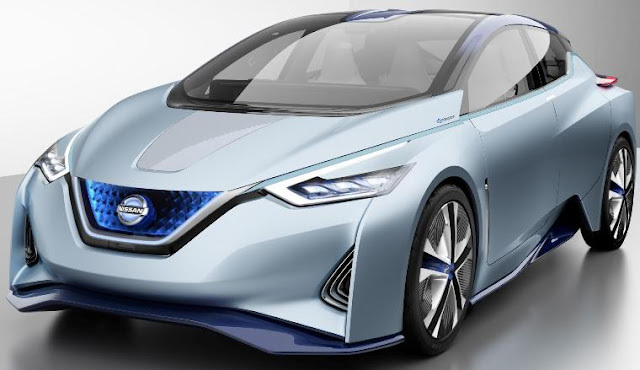 In Manual Drive mode, the driver has control but behind the scenes, the Nissan IDS Concept continues to provide assistance as sensors continually monitor conditions and in the event of imminent danger, Nissan IDS Concept will assist the driver in taking evasive action. 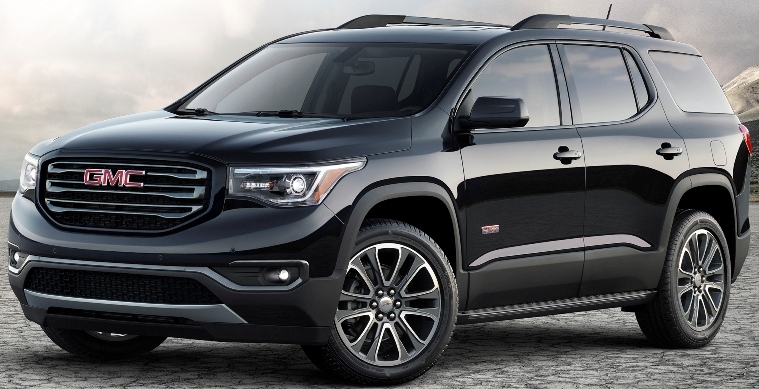 The all-new 2017 GMC Acadia, 700 pounds lighter than the current model and positioned between the compact Terrain and full-size Yukon, is available with five-, six- or seven-passenger seating. A new, 194 horsepower 2.5L engine is standard, offering an estimated 28 mpg on the highway for FWD models (based on GM testing). City fuel economy offered is GM-estimated at 22 mpg (FWD) and utilizing by GMC’s Stop/Start technology. A new, available 310 horsepower 3.6L V-6 engine is more powerful and efficient than the current model, while offering 4,000 pounds estimated trailering capability (with the available towing package). The premium Acadia Denali returns, along with a new All Terrain model offering enhanced off-road capability. The new Acadia goes on sale this Spring. 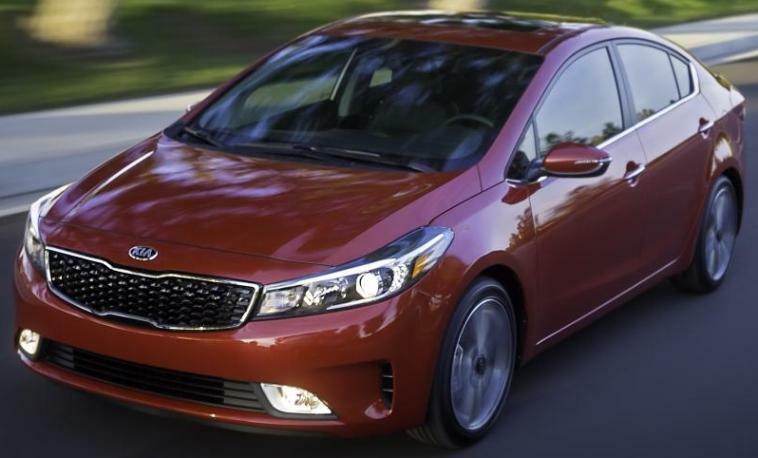 The 2017 Kia Forte5, in LX, EX, and SX trims, comes standard with a 2.0-liter GDI four-cylinder engine paired with a six-speed manual transmission or an available second-generation six-speed automatic transmission. The SX gets a 1.6-liter turbocharged GDI four-cylinder engine, which is now available with a seven-speed dual-clutch transmission. Pricing for the 2017 Forte5 will be announced closer to the vehicle’s on-sale date in the first half of 2016. The refreshed 2017 Forte sedan is now available in a new S trim that sits in between the entry-level LX trim and the top-trim EX model. The new S trim has a sport-tuned suspension, 16-inch alloy wheels, LED daytime running lights, rear spoiler, and a chrome exhaust tip. All trims come standard with Drive Mode Select, which allows the driver to change the driving experience based on their preference: Normal, Eco, or Sport. Available convenience features include Autonomous Emergency Braking, Front Collision Warning, Lane Change Warning, Lane Keep Assist, Blind Spot Detection, Lane Change Assist, and Rear-Cross Traffic Alert. Production at the Mexico facility is slated to begin in the first half of 2016. The Kia Telluride full-size three-row, seven-passenger SUV concept is 4.4-inches taller, 4.7-inches wider, and 9.5-inches longer than the current Kia Sorento. Utilizing a 270 horsepower 3.5-liter gasoline direct injected V6 engine and 130 horsepower electric motor routed to all four wheels, Telluride’s transverse-mounted powertrain combines to produce 400 horsepower while achieving more than 30 mpg on the highway. While there are currently no plans to bring the Telluride to production, Kia has a history of delivering production vehicles that bear strong resemblance to preceding concepts. 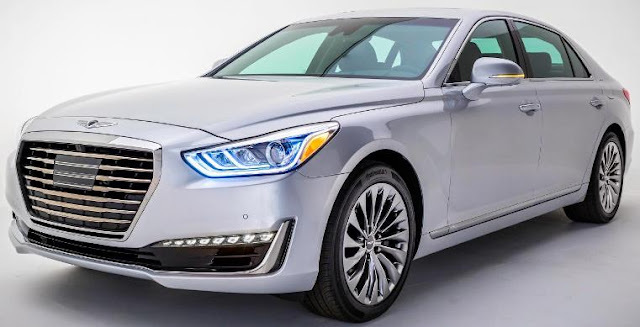 The 2017 Hyundai G90 premium luxury sedan, the new flagship of the Genesis brand in the U.S. market, is powered by an all-new 365 horsepower 3.3-liter direct-injected, twin-turbocharged V6 or 420 horsepower 5.0-liter direct-injected V8. The H-TRAC® AWD system is available with either powertrain, for adverse driving conditions such as ice or snow. This system features an electronic transfer case with active torque control and offers dual-mode Sport or Normal calibrations that are linked to the Intelligent Drive Mode. The H-TRAC system can direct up to 40 percent of available torque to the front axle, for enhanced traction in adverse conditions such as ice or snow. Safety features include: Automatic Emergency Braking with Pedestrian Detection, Smart Blind Spot Detection, Lane Keep Assist, Rear Cross-traffic Alert, Driver Attention Alert, Dynamic Bending Light headlights with High Beam Assist, and a 360-degree Multi-view Monitor. In addition, G90 also features Smart Cruise Control with Stop/Start capability. For enhanced visibility for the driver, the Head’s-up Display has been increased from 7.4 inches to 9.7 inches with enhanced illumination. The all-new 2017 Honda Ridgeline, 5.4 inches wider and 4 inches longer than the previous generation, will be powered by a 3.5-liter, direct-injected i-VTEC™ V-6 engine mated to a 6-speed automatic transmission. The all-new 2017 Honda Ridgeline will be available for the first time in both front-wheel and all-wheel-drive configurations with all-wheel-drive models utilizing Honda's i-VTM4™ torque vectoring AWD technology, featuring Intelligent Terrain Management with Normal, Sand, Snow and Mud modes. Honda Sensing™ technologies available include Lane Departure Warning, Collision Mitigation Braking System™, Forward Collision Warning, Road Departure Mitigation and Lane Keeping Assist. All Ridgeline models will feature a multi-angle rearview camera as standard equipment and upper trims will be available with either Honda LaneWatch™ or Blind Spot Information system. The new Ridgeline will launch in the first half of 2016. The all-new Lexus LC 500 luxury coupe sits on an all-new, premium rear-wheel-drive luxury platform, is powered by a 467 horsepower 5.0-liter all-aluminum, 32-valve V8 engine, mated to a newly developed 10-speed automatic transmission. The LC 500 will arrive in showrooms next year. The Infiniti Q60, Infinti's third generation sports coupe, comes in rear-wheel drive or available Intelligent All-Wheel Drive, and is powered by a 3.0-liter V6 twin-turbo engine, one rated at 300 horsepower and a high-output version at 400 horsepower. A 208 horsepower four-cylinder turbo-charged 2.0-liter gasoline engine with direct injection is also available. The Q60's Infiniti InTuition system, Drive Mode Selector allows the steering response to be selected from: "Customize," "Standard," "Snow," "Eco," "Sport," and, new for certain models – "Sport+." An all-new electronic suspension system, Dynamic Digital Suspension, comes standard on the Q60 Sport grades. The active and passive safety technologies include Around View® Monitor, Intelligent Cruise Control with Distance Control Assist, Forward Emergency Braking with pedestrian detection, Lane Departure Prevention, Blind Spot Intervention and Backup Collision Intervention. The Q60 arrives in the Americas this summer. The new tenth-generation 2017 Mercedes-Benz E-Class is 1.7 inches longer overall with a 2.6 inch longer wheelbase compared with its predecessor and will feature a 241 horsepower turbocharged 2.0-liter four-cylinder gasoline engine equipped with the new 9G-TRONIC nine-speed automatic transmission at its U.S. launch with more model variants to be added later. The U.S. version of the E300 offers a next-generation high-resolution display, with a wide navigation display screen diagonal of 12.3 inches. A DYNAMIC SELECT switch in the cockpit enables the driver to select from four AIR BODY CONTROL all-round self-leveling modes: "Comfort," "ECO," "Sport" and "Sport+." The additional "Individual" option allows drivers to configure their vehicle to suit their own preferences. The 2017 Mercedes-Benz E-Class will be available at US dealers in the summer 2016. 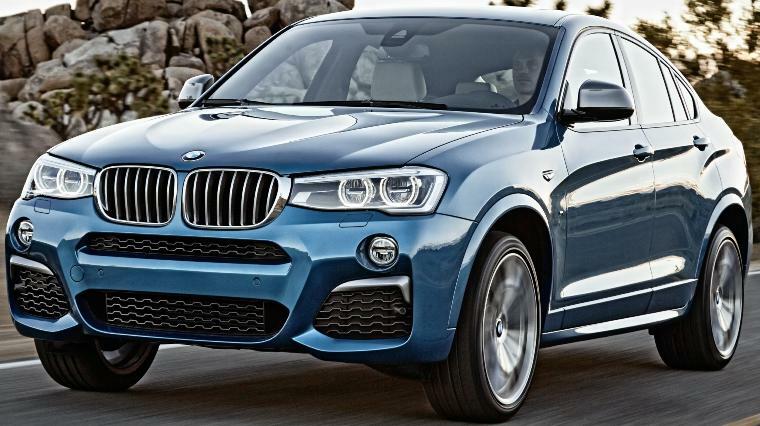 The 2016 BMW X4 M40i with 355 horsepower M TwinPower Turbo intelligent xDrive inline 6-cylinder engine will be available at certified BMW dealers next month starting at $58,795 (including $995 destination & handling fee). 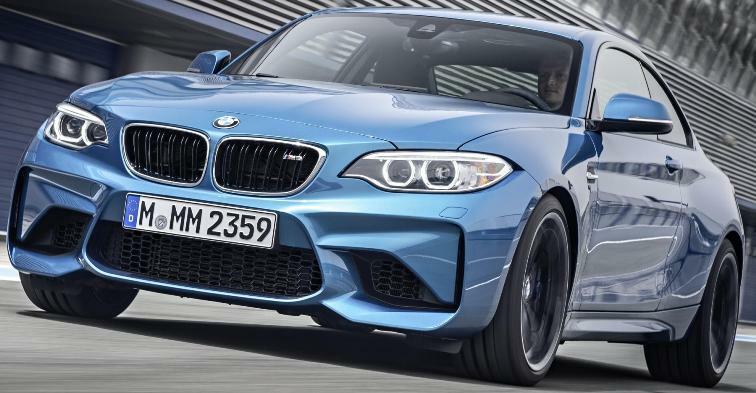 The 2016 BMW M2 powered by a 365 horsepower M TwinPower Turbo 3-liter 6-cylinder engine launching the vehicle from 0-60 mph in 4.2 seconds will be available at authorized BMW centers starting at $52,695 (including $995 destination & handling fee) starting in April 2016. The 2016 Buick Envision luxury compact crossover is powered by a 252-horsepower 2.0L turbo engine Twin Clutch AWD system paired with a third-generation six-speed automatic transmission. A rearview camera is standard, while the available Surround Vision provides an overhead view of the Envision that enhances the driver’s vision at low speeds, such as parking and reversing. The Envision offers 10 standard air bags, Lane Keep Assist and optional Automatic Park Assist. It goes on sale in the U.S. in the second quarter of 2016. The new 2017 Ford Fusion offers two hybrid models and a new all-wheel-drive Fusion V6 Sport with a 325 horsepower twin-turbocharged 2.7-liter EcoBoost® V6 engine. Fusion also comes in Fusion Hybrid and Fusion Energi, and Fusion Platinum with available 2.0-liter EcoBoost and all-wheel drive. Fusion Energi features a 7.6-kilowatt-hour lithium-ion battery for an expected range of 19 miles using electric power only. The car automatically switches to an efficient 2.0-liter gasoline engine when the battery is depleted, allowing customers to drive more than 500 miles. Recharging Fusion Energi can be done overnight in just 2.5 hours. The new Fusion arrives at dealerships this summer. Fusion V6 Sport follows a few weeks later. The 2017 Chrysler Pacifica, re-engineered from the ground up on an all-new platform, will be available in six models featuring a 287 horsepower 3.6-liter Pentastar V-6 engine mated to a segment-exclusive TorqueFlite nine-speed automatic transmission. The Chrysler Pacifica Hybrid, available in two models, will deliver an estimated range of 30 miles solely on zero-emissions electric power from a 16-kWh lithium-ion (Li-ion) battery. In city driving, it is expected to achieve an efficiency rating of 80 MPGe based on U.S. EPA standards. 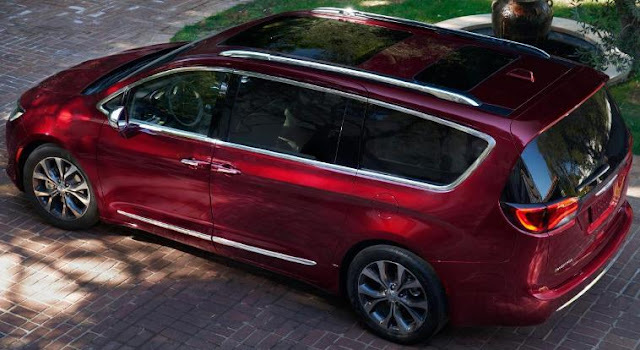 The Chrysler Pacifica offers more than 100 standard and available safety and security features, including 360-degree Surround View camera, ParkSense Parallel/Perpendicular Park Assist, Adaptive Cruise Control with Stop and Hold and Forward Collision Warning-Plus. The Chrysler Pacifica will be available in dealer showrooms in spring 2016, with the Pacifica Hybrid arriving in the second half of 2016. General Motors’ Chevrolet, Buick, GMC and Cadillac brands delivered 290,230 vehicles in December 2015, up 6 percent. For the year, Chevrolet, Buick, GMC and Cadillac dealers delivered 3.1 million vehicles, up 5 percent. Ford Motor Company’s U.S. December sales were 239,242 vehicles, up 8 percent versus a year ago. Total 2015 U.S. sales of 2,613,162 vehicles are the company’s best annual sales results in nine years, up 5 percent. Ford brand sales of 2,511,935 vehicles make Ford America’s best-selling brand for six straight years. Toyota Motor Sales, U.S.A. reported December 2015 sales of 238,350, an increase of 10.8 percent from December 2014. For the year TMS reported sales of 2,499,313, a 5.3 percent increase. FCA US (Chrysler, Ram, Jeep, Dodge, Fiat, Alfa Romeo) reported U.S. sales of 217,527, a 13 percent increase compared with sales in December 2014, and the group’s best December sales ever. 2015 sales of 2,243,907 is 7 percent higher than 2014. American Honda reported December sales of 150,893, up 2.1 percent on Honda sales of 134,070 and Acura sales of 16,823, down 12.3 percent. Total Honda and Acura vehicle sales for 2015 set an all-time record of 1,586,551, an increase of 3.0 percent to beat the previous record set in 2007. Honda Division sales topped last year`s record to set a new annual mark, rising 2.6 percent on sales of 1,409,386. Acura sales totaled 177,165, a 5.6 percent increase for the year and the division's best result since 2007. Nissan Group announced total U.S. sales for December 2015 of 139,300, an increase of 19 percent over the prior year for a December record. For calendar year 2015, Nissan set an all-time record with 1,484,918 total U.S. sales, an increase of 7 percent. Hyundai Motor America December sales were 63,508, down 1.5 percent and Hyundai posted its best year ever with sales of 761,710, up 5 percent compared with 2014 for the sixth consecutive year of record U. S. sales. Kia Motors America announced record-setting December total of 54,241, an increase of 19 percent over the same period last year and pushed Kia over the 600,000-unit mark for the first time in company history to an all-time best annual sales total of 625,818 vehicles in 2015, up 7.9 percent year-over-year. Subaru of America reported December sales total of 56,274 vehicles, up 12.7 percent, the company’s best-ever sales month, eclipsing the previous best month of September 2015. For the year, record-breaking sales of 582,675 vehicles was an increase of 13.4 percent over 2014 marking the seventh consecutive year of sales records for Subaru of America and eighth consecutive year of sales increases. ago. Sales for 2015 total 349,440, down 4.8 percent from 2014. Separately, Audi reported that its December 2015 sales increased 20,399 vehicles, a 6 percent gain over 2014. For the year, 202,202 vehicles sold, an increase of 11.1 percent. Mercedes-Benz USA reported its highest volume month ever with December 2015 sales of 38,918, up 1.7 percent, for the highest annual volume in its U.S. history at 380,461, up 3.8 percent vs. 2014. The BMW Group in the U.S. (BMW and MINI combined) reported December sales of 39,634 vehicles, a decrease of 17.7 percent from the same month a year ago. At year end, BMW Group (BMW and MINI combined) sales of 404,537 is up 2.2 percent compared to 2014, a new record for the BMW Group U.S. BMW brand sales in December totaled 34,625, down 16.6 percent compared to December 2014. For the year, BMW brand sales of 346,023 was up 1.8 percent compared to last year, breaking last year’s all time sales record. MINI USA December sales of 5,009 was a decrease of 24.3 percent from the same month a year ago. For the year, MINI USA sales of 58,514 are up 4.3 percent. Mazda North American Operations reported December U.S. sales of 29,294 vehicles, an increase of 18.1 percent versus December 2014 and the best December since 1994. For 2015, total sales in the U.S. were 319,184, up 4.4 percent over 2014 and the best result since 1994. Jaguar Land Rover North America reported December 2015 U.S. sales of 9,638, a 30 percent increase from December 2014. Land Rover sales reached 8,441, a 47 percent increase while Jaguar sales were 1,197, down 29 percent. For the full year 2015, Jaguar Land Rover U.S. sales of 85,048, up 26 percent and Land Rover brand U.S. sales reached a new all-time high of 70,582, an increase of 37 percent. Jaguar U.S, sales were 14,466, down 8 percent. Mitsubishi Motors North America reported December sales were 7,887, up 20.5 percent over 2014. 2015 total sales of 95,342 was up 22.8 percent over 2014 for the best yearly sales since 2008. Volvo Car USA reported U.S. sales of 9,341 vehicles, an 89.9 percent increase versus December 2014. For the year, Volvo Car USA reported 70,047 vehicles sold, an increase of 24.3 percent versus 2014. Porsche Cars North America announced December 2015 sales of 3,936 vehicles, up 20.2 percent over December 2014. This brought 2015 sales to 51,756 vehicles, a new PCNA sales record and a 10.1 percent increase over 2014.